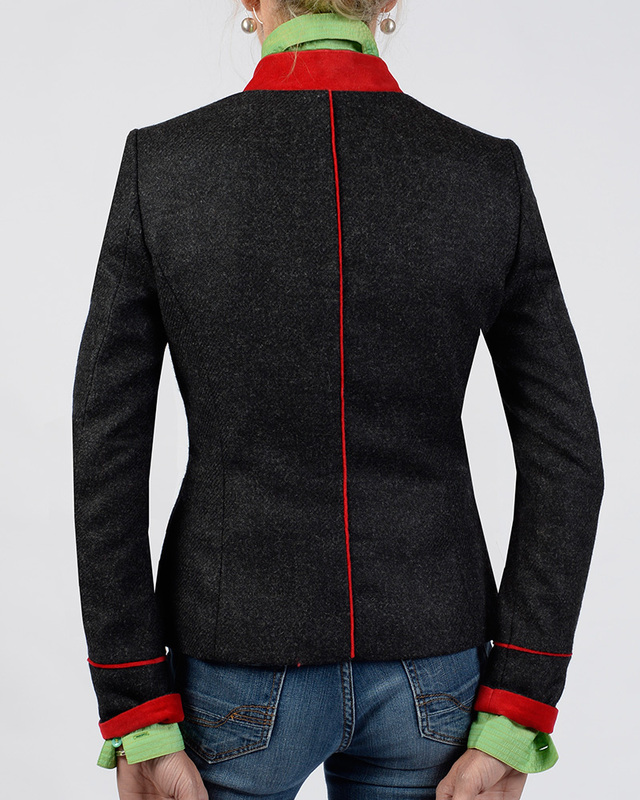 Freya Blazer in grey new wool with red stand up collar. Olive green facing and red details around the edges. Decorative piping down the back. Sleeves can be turned up. 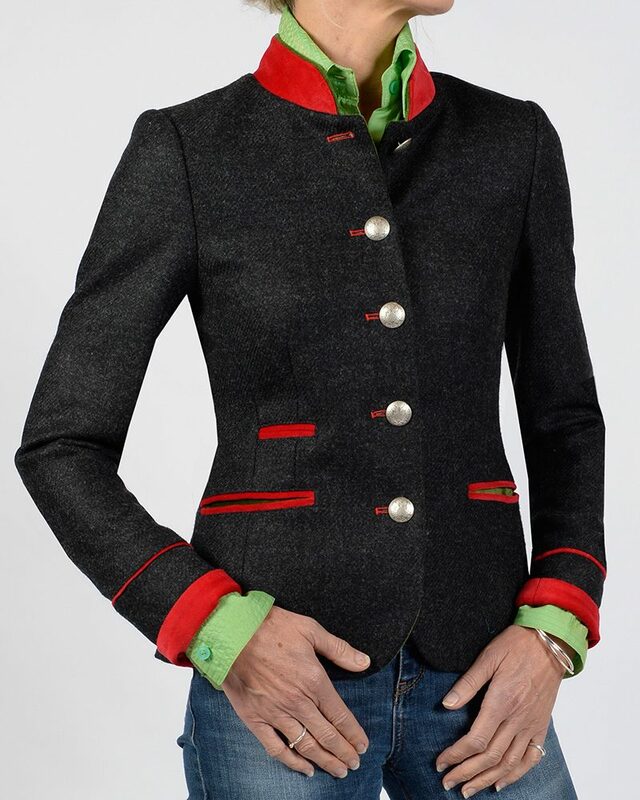 Button Fastening down front. Two flap pockets at hip level. Fully lined in matching brocade.